If you’re looking for a reliable firm to handle your wood flooring needs, including refinishing, repairing and installation, and just don’t know which way to turn, we have the answer for you . . . Sheridan’s Wood Floor. 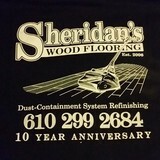 This locally owned and operated business has been proudly serving the area’s wood flooring needs for over 10 years. When you have your floors refinished by these professionals, you know you’re dealing with a company that has the experience and equipment to do the job that you expect. They have the skill that is needed to refinish, repair or install floors properly. Sheridan’s Wood Floor will make your old floors look like new. Although they are considered to be the area’s residential wood flooring specialists, they can handle all of your commercial needs too. As active members of the Springfield BNI, they would like to take this opportunity to thank the community. They value your business and look forward to serving your future wood flooring needs. Wide Plank Floor Supply offers unparalleled expertise and knowledge when it comes to wide plank and reclaimed hardwood flooring. For more than 25 years our parent company – City Floor Supply – has been providing the finest hardwood flooring on the market. Wide Plank Floor Supply was launched to accommodate the increased demand for wide plank, antique and reclaimed hardwood flooring. 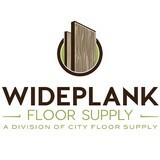 Wide Plank Floor Supply is committed to exceptional quality and craftsmanship. Our wide plank floor collections feature hand-crafted construction and superior structural integrity. Selectively cut and sustainably harvested, our boards are available in a variety of styles, colors and finishes to enhance the look of any living space. From pine to oak to maple, Wide Plank Floor Supply offers a wide selection of wood species to accommodate every style and budget. Whether it’s reclaimed barn wood custom milled to your specifications, or pre-finished wide-plank engineered hardwood flooring, we have what you’re looking for. 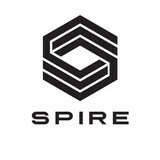 Spire Wood Flooring is a family owned and operated flooring business serving the Philadelphia Metro area. With over 40 years of industry experience, we offer floor covering and related goods and services with a focus on high quality, environmentally friendly products that help contribute to a healthy home environment. The flooring products available at Spire are cork, bamboo, hardwood, FSC certified reclaimed hardwood and wide plank. If you are looking for high quality and personal service, you have come to the right place. 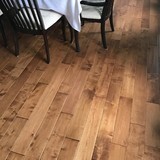 At Prince Hardwood Flooring, LLC we will give you the attention and personal service you will come to expect and enjoy. We offer the best in installation, sanding, staining and finishing hardwood floors. Prince Hardwood Flooring, LLC is a third generation company, serving the tristate area. Let us put our experience to work for you. reSAWN TIMBER co. provides new and reclaimed wood products for architectural specifications for flooring, interior wall cladding, ceilings, exterior siding, furniture and custom millwork. reSAWN’s mission is to provide inspiring designs made from new and reclaimed woods that are sustainably sourced and finished in the USA. We continually strive to deliver creative solutions for individual project needs, and to remain at the forefront of our design-driven industry. Our carefully curated offering includes shou sugi ban charred woods, reclaimed woods, newly harvested american wood species and european oak. We provide only the highest quality materials milled to exacting standards and finished in a way that enhance the natural beauty of the wood. Our extensive offering includes wide plank flooring, FSC® Certified woods, and custom furniture with traditional joinery. We specialize in meeting the needs of architects, designers and contractors, and providing superior service and guidance in developing your specifications. Our products can assist you in achieving your project goals in aesthetic, performance and sustainability. Contact us to learn more about our FSC® products. FSC® C122513 Photo Disclaimer: Project and product photos are meant to be a general guide to product appearance only. Due to our handcrafted process and wood being a product of nature, the color, grain pattern, character and profile will vary between individual boards on a project and will never be an exact match. At Burroughs Hardwoods we offer a wide range of Hardwood products. We retail hardwood flooring, laminate flooring, tile flooring,vinyl Flooring, cork flooring, a variety of mouldings, decorative wood carvings, ceiling medallions, and even numerous species of lumber. Some of the Hardwood Flooring brands that we support include: Bruce, Century, Lauzon, Lyptus, Mannington, Nature, Mirage, and many other quality brands of flooring. We stock various styles, species, widths, and types of moldings at our store. These types of moldings include: base moldings, crown moldings, chair moldings, door casings and many others. The species of wood that Burroughs Hardwoods stocks include Red Oak, Maple, Cherry, Mahogany, Poplar, and others. At Burroughs hardwoods we can recommend experienced professional installation crews that can install the floor of your choice for you, or we can guide you in installing the floor yourself. Serving the community for over 20 years, Highway Flooring Inc. is an one stop store for your hardwood flooring, laminate flooring, luxury vinyl flooring, floor installation, sanding and refinishing and stair renovation needs. We represent the highest quality of many brand names in the industry in this Great New York and New Jersey areas. The brands includes but not limited to: Armstrong, Appalachian, Bruce, DuChateau, Indusparquet, Triangulo, Mullican, Mirage, HomerWood, Preverco, Lauzon, Mercier, Kahrs, USFloors, CoreTec Plus, Superior, Somerset, Hawa, Nature, GoodFellow, Johnson, Mannington, Berry Alloc, Tarkett, Villa Bella | Bella Cera, Fusion Hybrid, Vision LVT Vinyl Flooring. Direct buy allows us give the best prices to our customers. We stand for: Honesty, Reliability, Excellent Communication, Professionalism, The Best Value Products and Services. Going a step beyond floor covering. Our clients are our number one priority. We strive to achieve nothing but 100% perfection. From our design work to the quality of our installations. All of our photography you will see is our 100% genuine work we performed, and not pictures copied off of a websites from manufacturers like many seen else where. We are the premier flooring company serving the greater Glen Mills, Kennett Square, Media areas. We provide high quality design and installation services, in the comfort of your own home, and carry the latest flooring products including hardwood, carpet, stone, and tile flooring! 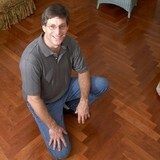 Take the guesswork out of getting new floors and schedule your free in-home consultation today! Nick, the owner of Flooring Doctor, has been running his Philadelphia based flooring installation business continuously for over 10 years. Throughout his time in the industry, he has grown a large network of contractors, distributors, manufacturers, property managers, as well as a very loyal and satisfied customer base. As Nick was making his way through this tough industry, he found himself receiving a ton of phone calls from not only customers inquiring about future jobs, but also from installers wondering where they could get materials to complete their own projects at a good price. The more this happened, the more he pondered a way to have a place for all of these people to go and get their questions answered and their flooring needs satisfied…and The Flooring Doctor was born. The Flooring Doctor celebrated its opening on March 15th, 2014 after months of preparation. Since its inception, we have taken all of Nick’s contacts he has gained over the years and created an extensive network of manufacturers, distributors, as well as some very talented contractors. We can also boast that this vast network gives us the means to say that we not only carry the most popular brands, but we can get them at a price that allows us to meet or beat our competitors! Czar Floors is a leading designer and producer of hardwood floor medallions, floor borders, custom floor inlay, natural stone medallions and parquet flooring. We are the experts in decorative hardwood flooring for the residential and commercial designer floors. Czar Floors works with architects, designers and decorators on the most prestigious projects around the world. Czar Floors today has the largest collection of decorative floor products on the market. Hundreds of hardwood flooring medallions in a variety of sizes, styles and options, made with exotic or domestic hardwood, natural stone, marble and granite. Numerous inlay floor borders styles. Vast selection of parquet and herringbone patterns. Czar Floors has become a one-stop shop for professionals and homeowners looking for distinctive wood floors. Our exclusive semi-custom artwork offers many options to personalize any piece to your unique taste. Classic yet contemporary, hardwood floors are one of the most beautiful types of flooring a home can have. However, if not installed correctly or damaged, a floor can threaten a home’s entire interior aesthetic. That’s where Medford, NJ hardwood flooring installers and dealers step in. Whether you need a hardwood floor installation or replacement, or just want some guidance on the types of hardwood flooring available, these Medford flooring pros can help. What kinds of services do hardwood flooring installation professionals in Medford, NJ provide? Find hardwood floor experts in Medford, NJ on Houzz. Search the Professionals section for Medford, NJ hardwood flooring installers and dealers or browse Medford, NJ photos of completed installations and look for the professional’s contact information.